Ken Premo, manager of support services for Associated Students, shows how the new bike-share app, LimeBike, will work on campus in 2018. Students, faculty and staff need only download the app to their smartphone, create a profile and then scan a bike’s individual QR code with the phone to check it out. Photo by Lee Choo. A new bike-share program, LimeBike, will be available on the CSUN campus starting Jan. 16, 2018. 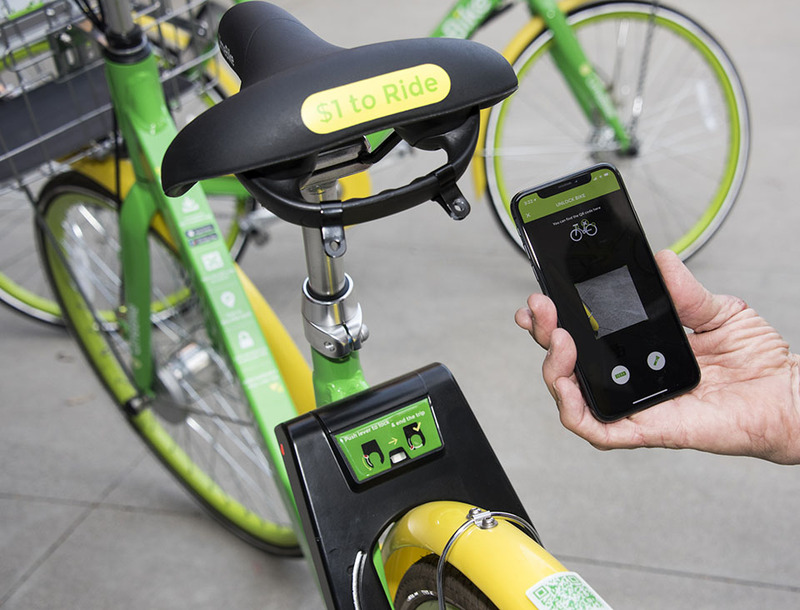 Students, faculty and staff need only download the LimeBike app to their smartphone, create a profile and then scan a bike’s individual QR code with the phone to check it out. Photo by Lee Choo. With the New Year, California State University, Northridge students will have a new way to get around campus. On Jan. 16, bike-share company LimeBike will deliver 400 bicycles to campus, launching a rental program that CSUN officials hope will provide easier, cheaper, faster transportation to class and around town. The bikes will be available to check out and return from any existing campus bike rack, and unlike car-sharing programs, there is no membership fee required. The rental fee is 50 cents per half hour, and there’s no time limit. Students, faculty and staff need only download the LimeBike app to their smartphone, create a profile and then scan a bike’s individual QR code with the phone to check it out. A credit or debit card is required to pay for the rental. Each bike is equipped with a global positioning system (GPS) unit, powered by a solar panel in the bike’s basket. The LimeBike app provides mapping tools, showing the most popular routes for the bikes’ use on and around campus. The GPS information from the bikes’ first couple of months on campus will help staff determine where bike lanes are most needed at CSUN, said Ken Premo, manager of support services (and unofficial “transportation guru”) for Associated Students (AS). Two hundred of the new bikes will be delivered to student housing at the north end of campus, and the remaining 200 to the University Student Union and around campus, said CSUN Director of Energy and Sustainability Austin Eriksson. CSUN has worked with LimeBike to hire students as part of their local operations team, to work with LimeBike staff to track and redistribute bikes around campus as necessary — and make sure they’re widely available where students need them, Eriksson said. Students, faculty and staff also can take the bikes off campus — to shop, go to work or just get some exercise. Once a rider locks a bike, it stops charging, no matter where it’s parked. However, once locked, the bike becomes available to the next user — thanks to GPS. The bikes sport tamper-proof bolts on the wheels to deter theft, as well as automatic lights for riding at night. “This is a pilot program,” Eriksson said. 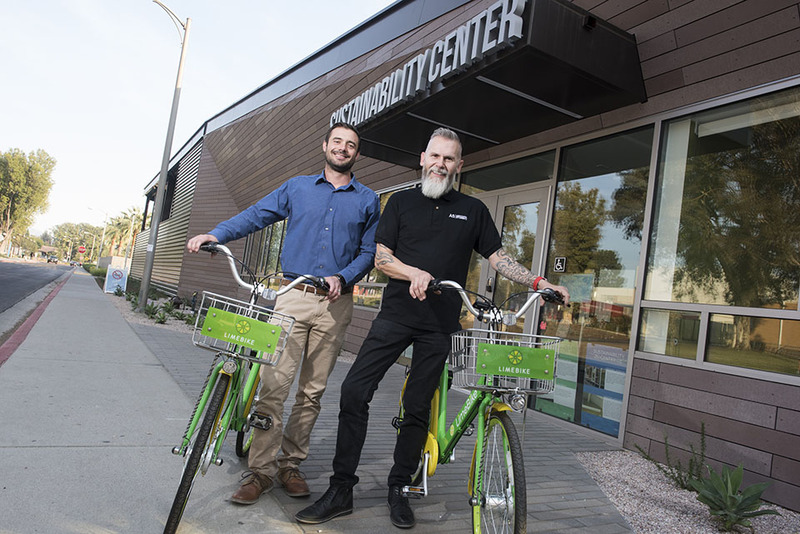 “We are the first in the CSU or UC systems to do this.” LimeBike also has launched programs in several universities and cities around the country, Premo noted. 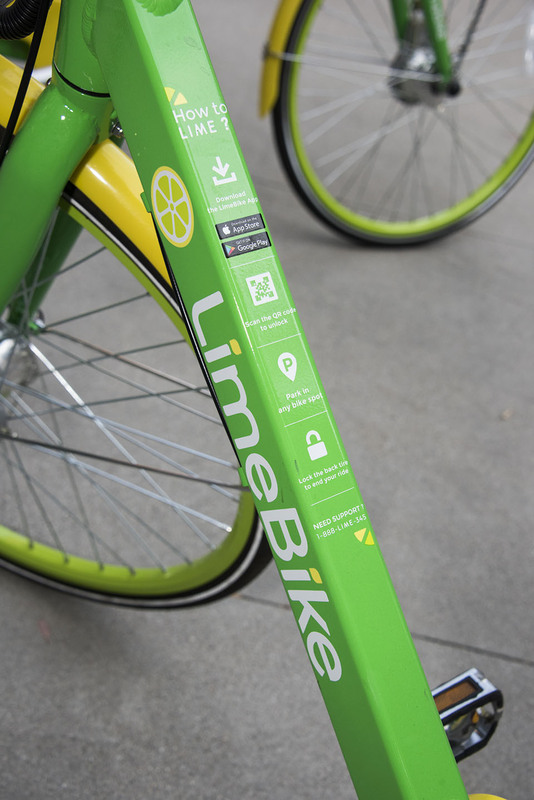 LimeBike will set up information tents on campus during the first couple weeks of the program to answer questions, hand out free ride codes and encourage students to sign up to rent the bikes. The university is working to reduce greenhouse gas emissions as part of its climate action plan, Eriksson said. Campus officials also have been working to ease parking and traffic congestion for CSUN’s nearly 50,000 students, faculty and staff by reducing the number of cars on the road during rush hour, making it easier to park on campus and improving access to the university via transit. Always use a strong password — this should include a minimum of eight characters, at least one upper- or lower-case letter, at least one numeric character and at least one punctuation character. Always create a unique password, and never use a CSUN password for LimeBike or any other applications. Always exercise caution when entering credit or debit card information, and never enter this information when using public WiFi. To learn more about campus sustainability efforts, visit the CSUN Sustainability website.